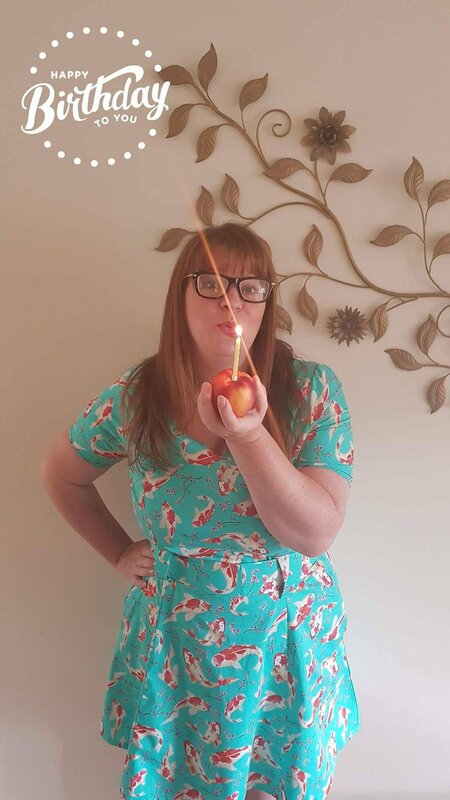 I find it so hard to believe that it has been a full year since I started my blog! I spent most of that summer reading through others and I sheepishly started my own, thinking it would help me to record my improvements. I didn’t even tell my husband or family because I felt embarrassed. I have been overwhelmed with the response, I remember being so flattered when I had 5 people following me and amazed that someone in New Zealand (yes you Naomi) was reading my words. For statistical purposes I’ve now had a massive 7300 views so Thank You all. Wow! After being convinced to also join Instagram by my sister, I have found a community beyond anything I could have wished for. I am so so grateful to each and every person who comments and engages with me. This community has given me an outlet beyond what I could have realised. 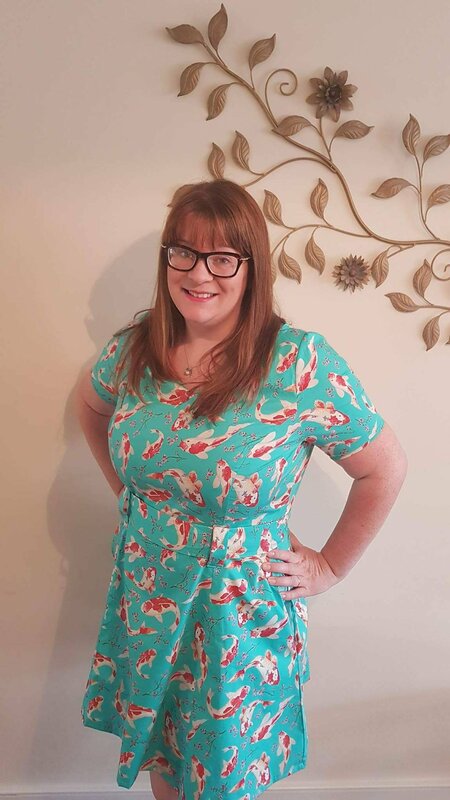 I particularly love being involved in the Sewcialists because Gillian loves the community too and has allowed me to get involved in editing and preparing that venture too! This month is tribute month and I really recommend you check it out. 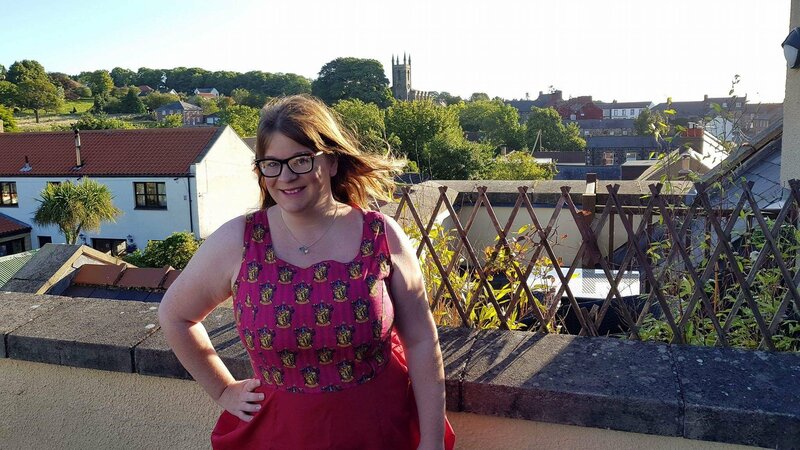 Anyway, not only do I blog my improvements but I get advice, encouragement and support on button decisions (how did I ever decide on buttons before? !) – though I wasn’t even good enough to insert a buttonhole before! On that note, I cannot believe how much I’ve improved. 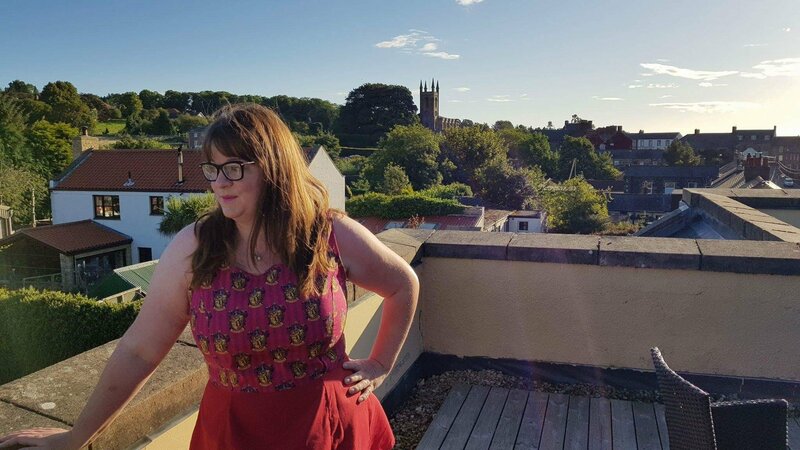 Take a look at my first blog post. 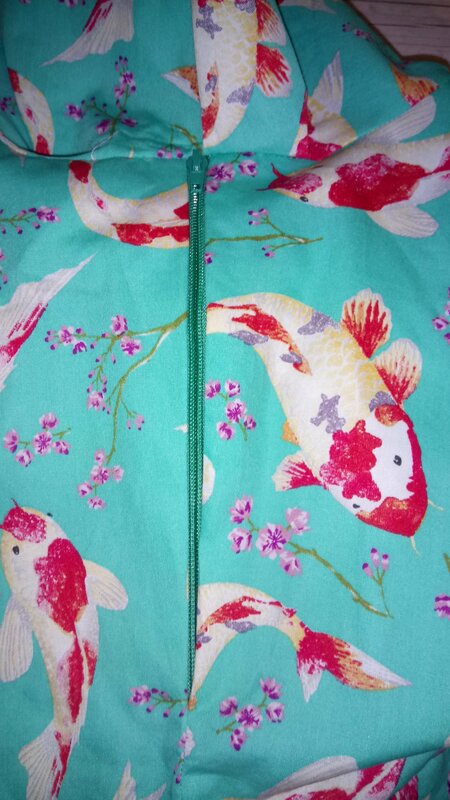 I’ve learnt so so much; inserting zips, shaping, which fabrics to use, how to use patterns properly, FBA (absolutely crucial to my life now). Seriously though, I’m not going to list them all, it’d just be a long list of things I’ve learnt. 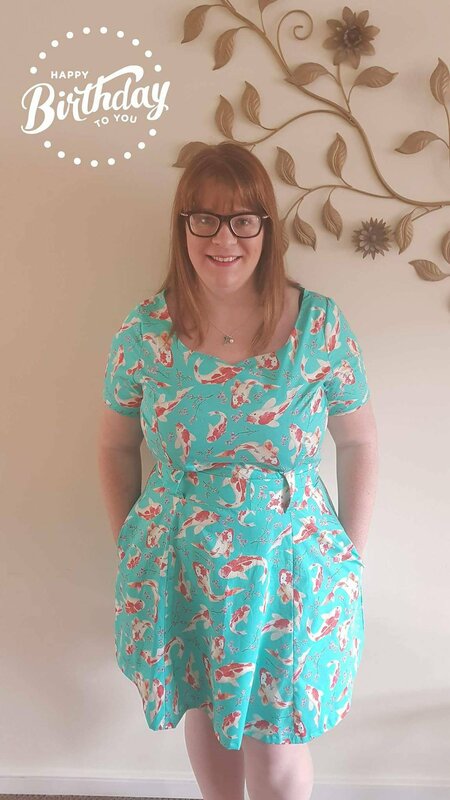 I wanted to showcase my improvements instead so to do that I’ve returned to my very first dress pattern which my Mum bought me for Christmas 2015 and I tried for the first time in May 2016. 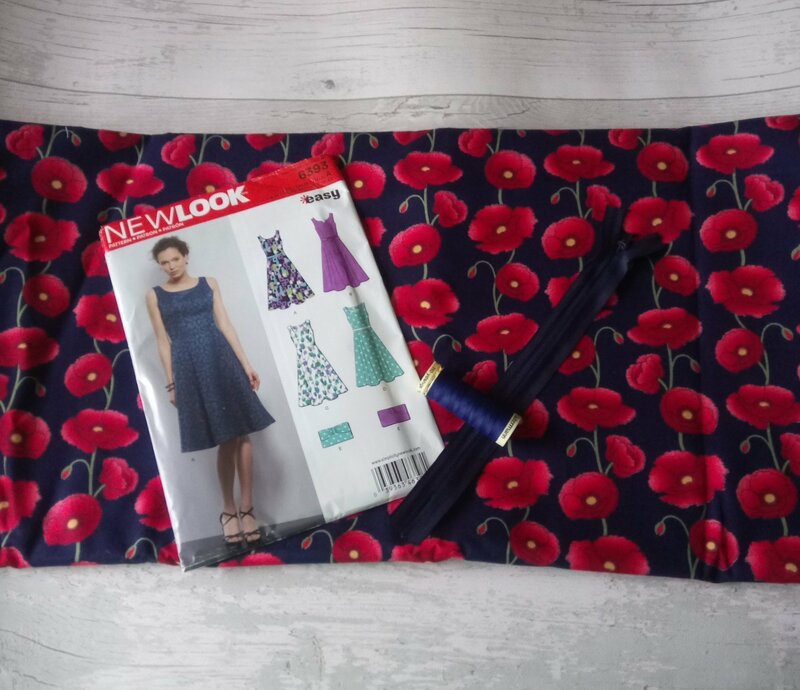 The pattern is NewLook 6020, which is now New Look 6393 and it is a princess seam dress with multiple necklines and a clutch bag option. 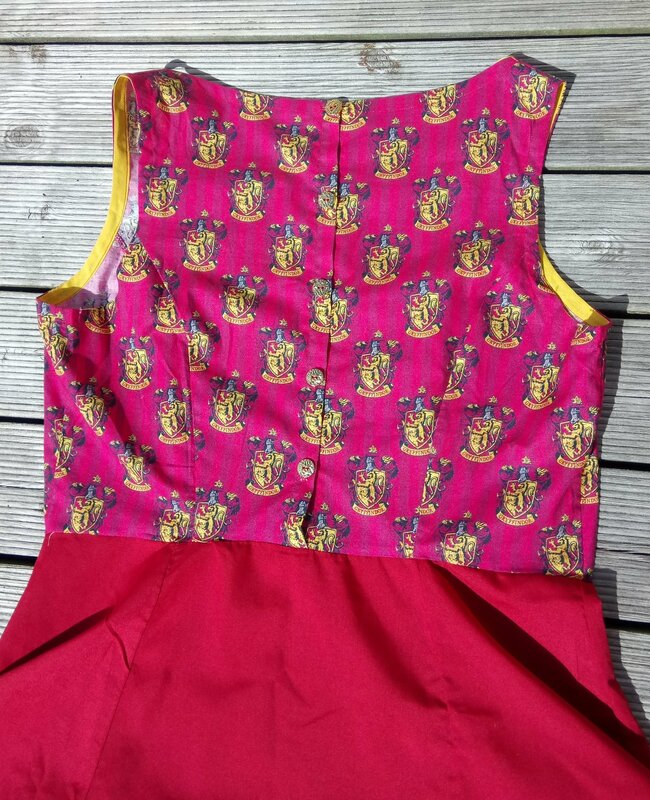 It is also the subject of the terribly fitted bodice of my first blog. 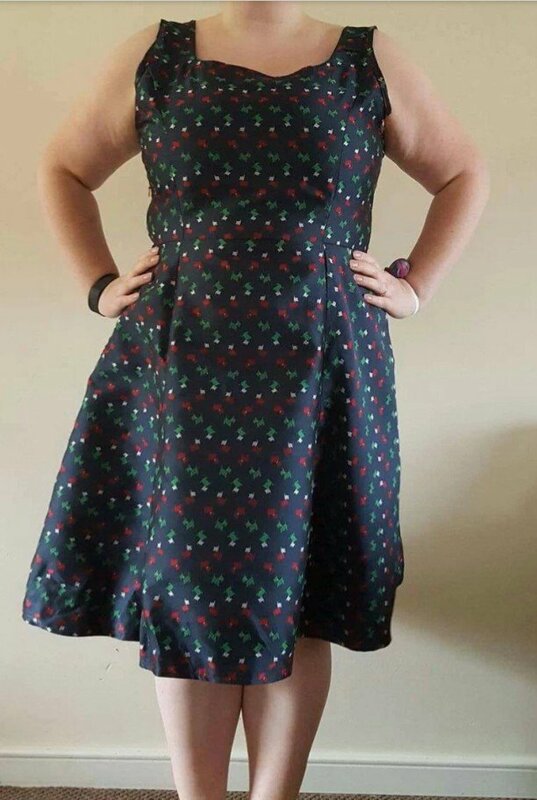 (now in a fabric recycling bin somewhere) My first one was also a nightmare; I used a horrible, strange fabric and the fit was horrendous. It took me forever and I thought I would never have the patience for this but a few magazine patterns and a LOT more patience later, I was hooked, as you know! Be prepared for horribleness. 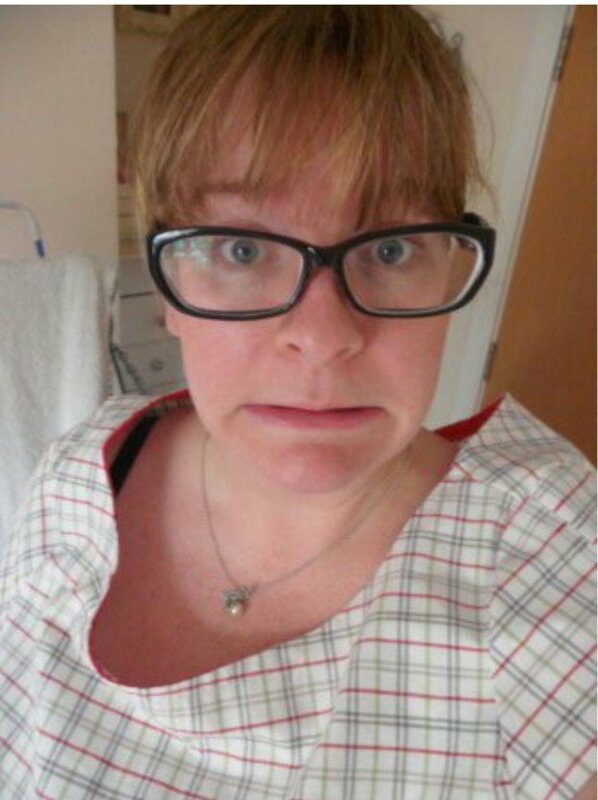 Anyway, I have since returned to the pattern for my Christmas dress last year but, whilst the fit was better, it frayed and I didn’t even bother to insert a zip. Fast forward to now and it has returned. 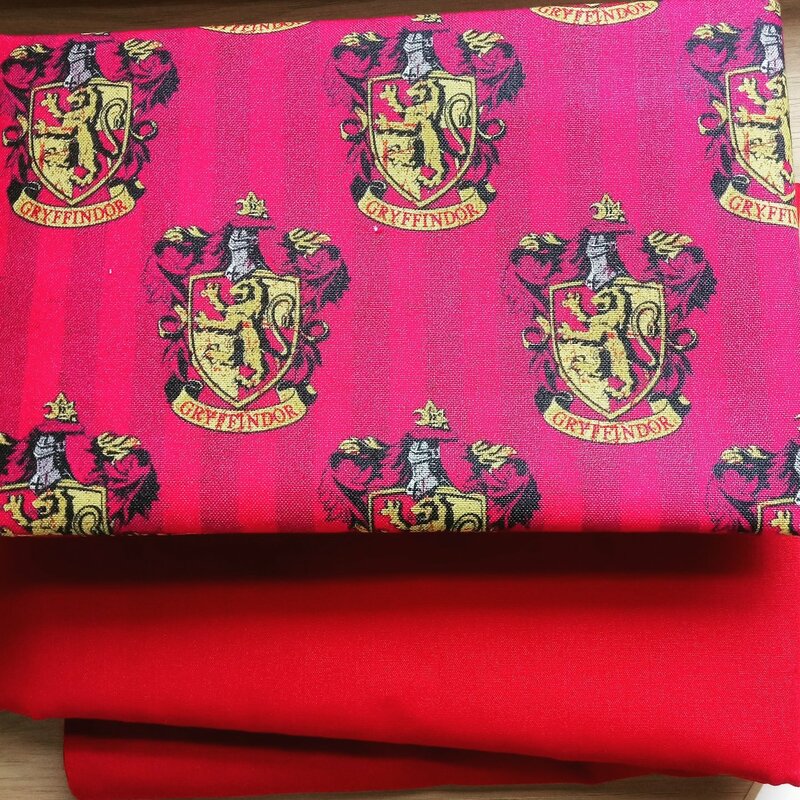 I bought this amazing Harry Potter fabric from Frumble and because it is a little costly I bought a red polycotton to go with it and colour block. I wanted to make something which really represented me. 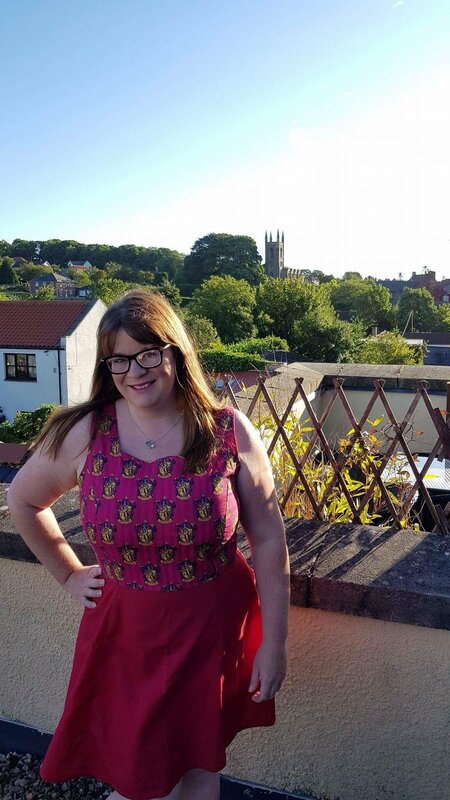 I also saw the amazing Elle from Sew Positivity make a Harry Potter dress and I wanted to tribute her for Tribute Month because she is full on amazing, makes fantastic things and isn’t scared to talk about how much sewing has helped her emotionally. I really liked her section in Suzy Magazine Issue 3. 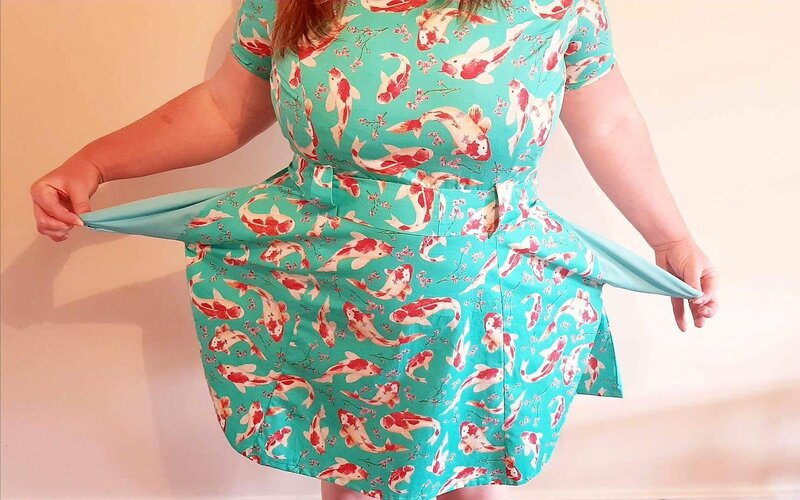 Anyway, back to my Copycat dress. 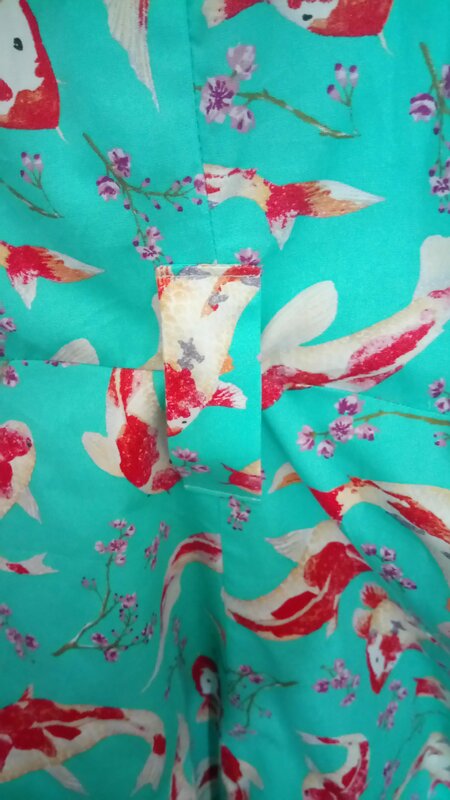 Here’s the amazing fabric. 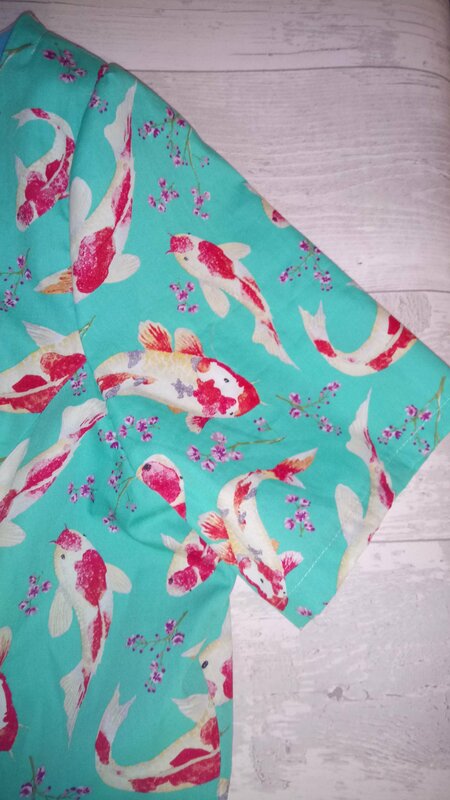 I further tested myself by making another in this gorgeous Koi Cotton Poplin from Sewisfaction, who has also sponsored my Bloggiversary giveaway! 2. 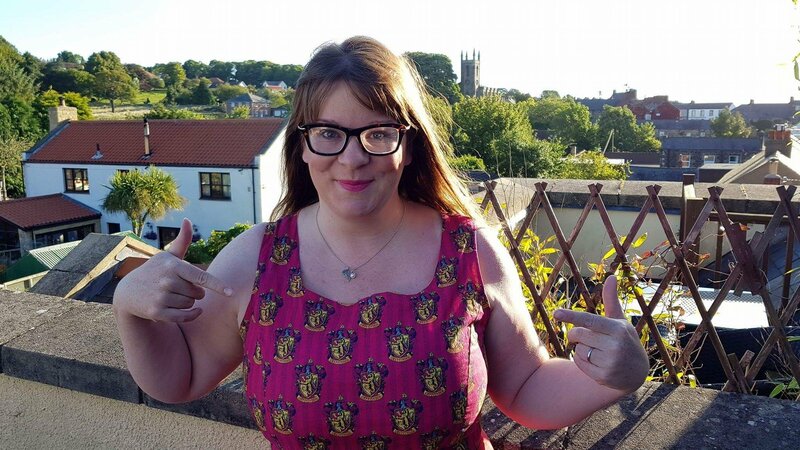 I have a dislike of facings, I can use them, as you can see in my Koi dress but bias is my way… Hence the lovely yellow contrast I used on my Harry Potter dress. 3. 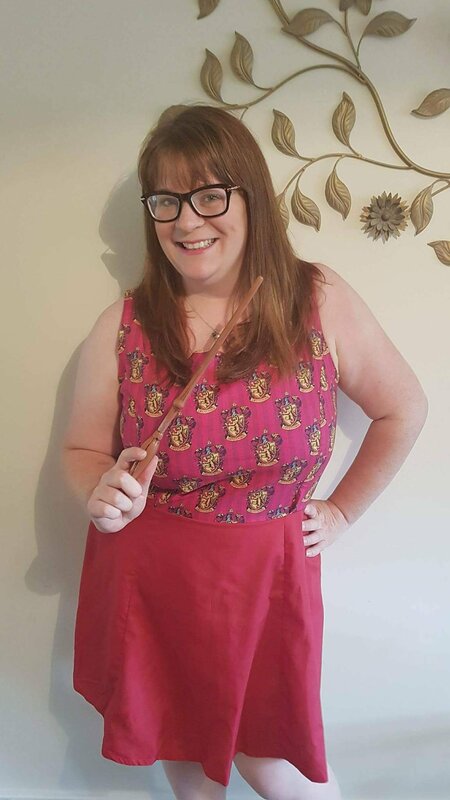 I can adapt patterns- Mr Harry Potter dress: I’ve shortened the length, ignored the side zip, added inches to the back pieces to create placket for a button up back. 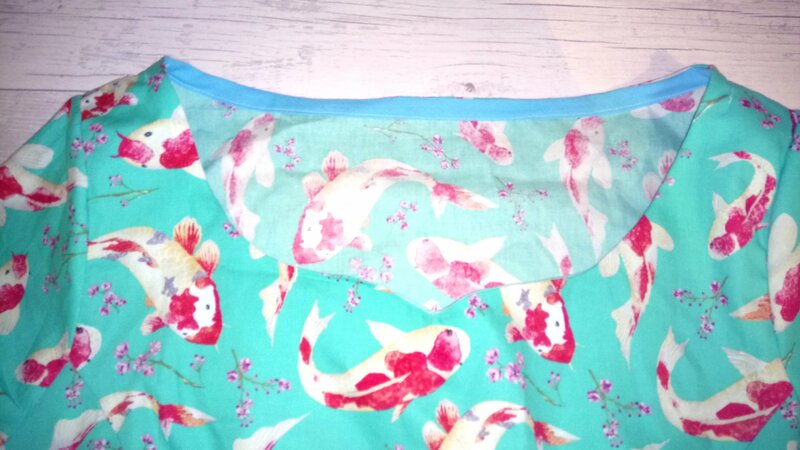 Miss Koi Dress: I added sleeves, added pockets and added little tabs for the little belt tie to go in to. 4. I can insert buttons! 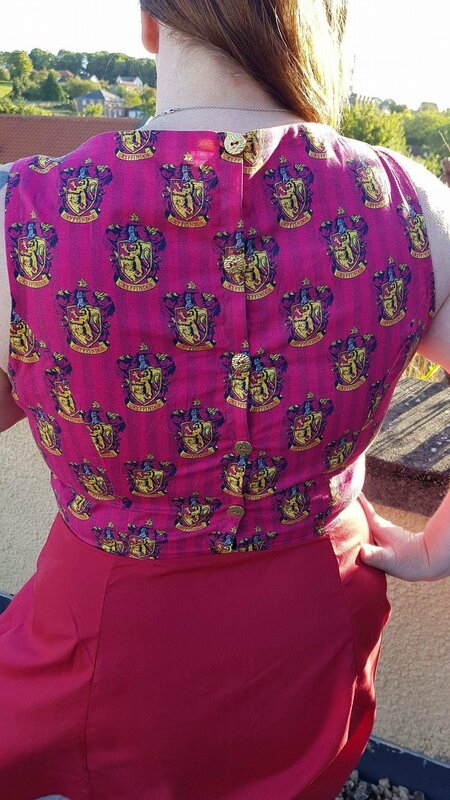 See said buttons! 5. 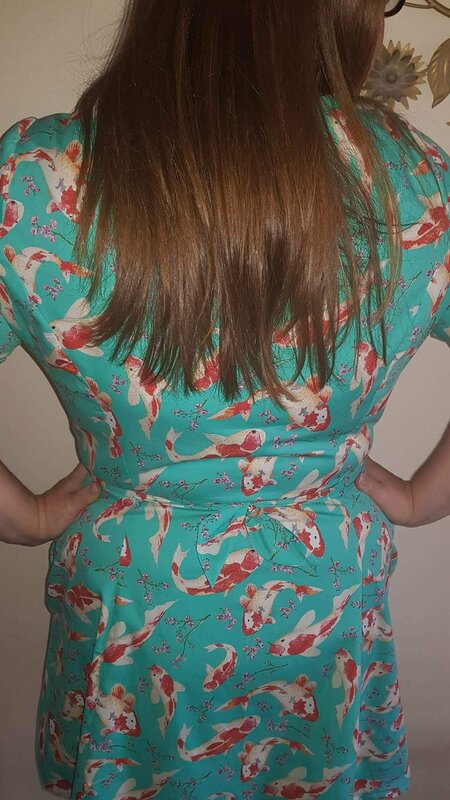 I don’t like baring my arms- BUT I can put sleeves in, the best thing about sewing my own clothes for me. 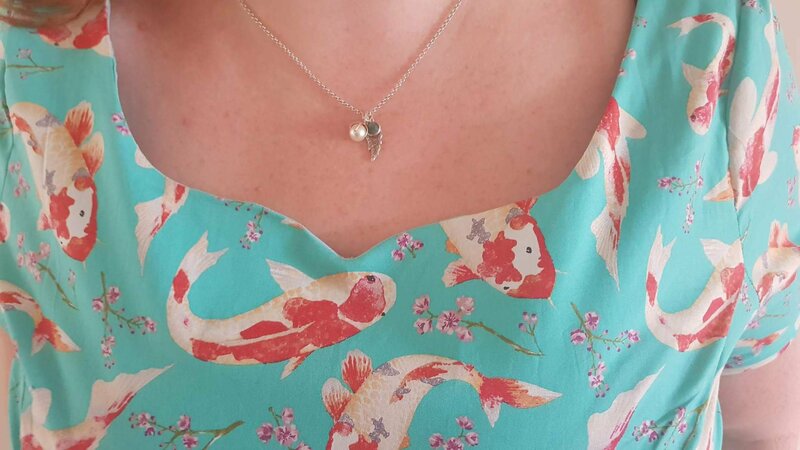 I kept the sleeveless style for the Harry Potter dress so that you could see the intended pattern but I used another Simplicity pattern to insert sleeves for the Koi carp one. 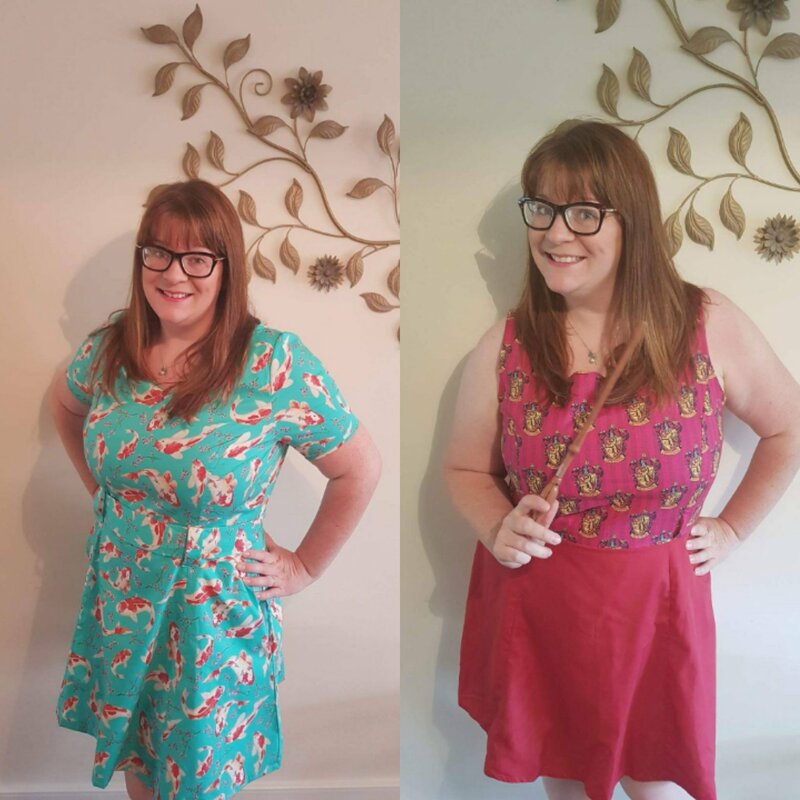 Finally, because it is my bloggiversary and I am so so grateful for this sewing community, I’m hosting a giveaway! The giveaway includes the featured pattern, New Look 6020,which is now New Look 6393. 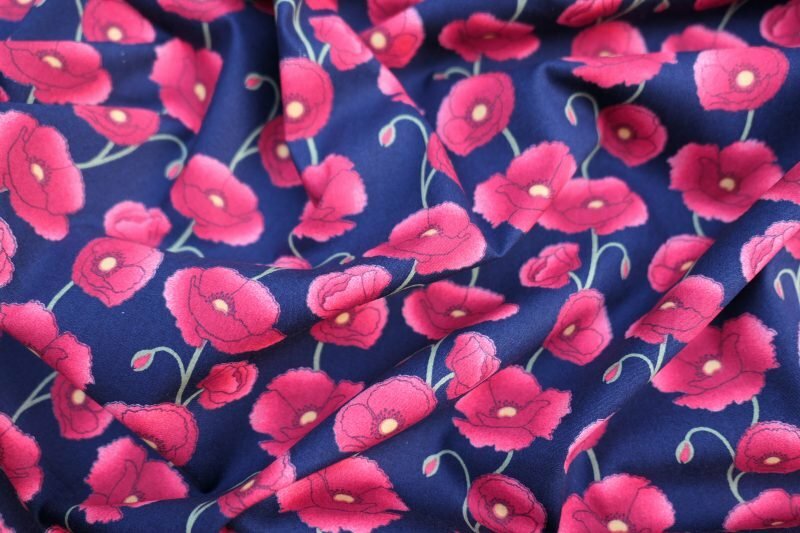 AND… enough fabric to make said dress, which is 2 metres of a gorgeous Navy Poppy Cotton Poplin from the amazing Sewisfaction. 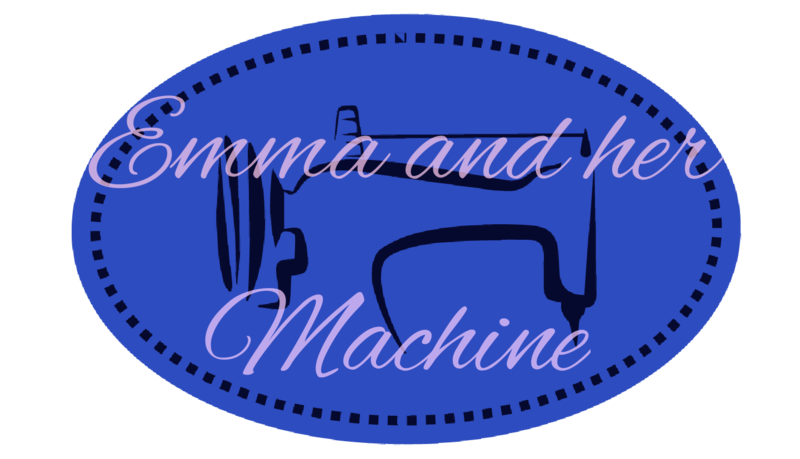 Sheona has kindly donated the fabric for the giveaway, even though she’s super busy setting up her new shop. You should definitely check her out. 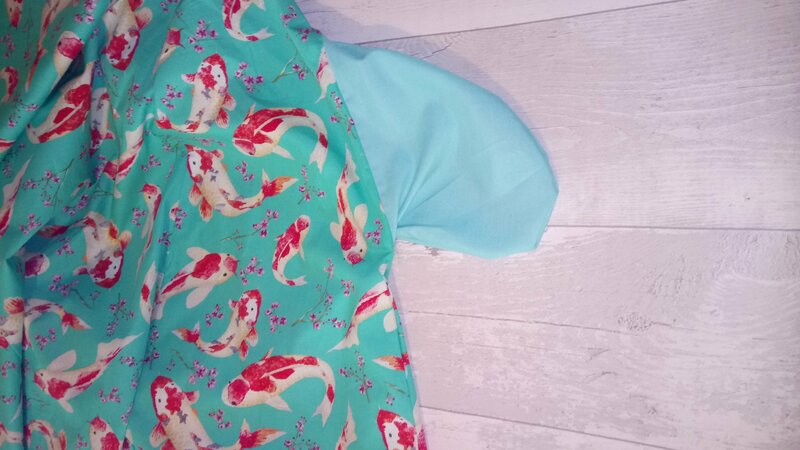 I’ve also used her fabric for my Riviera Ruffle and my Velo Culottes. 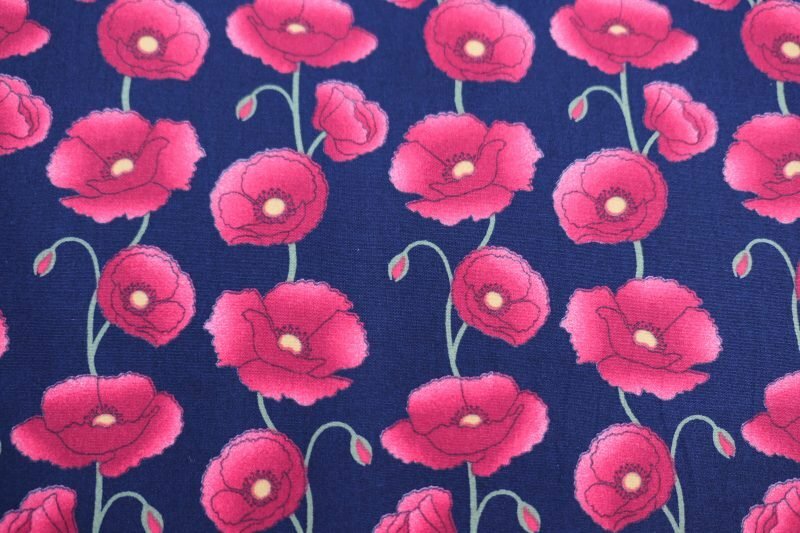 The fabrics are great to work with and it’s so important to support small businesses. 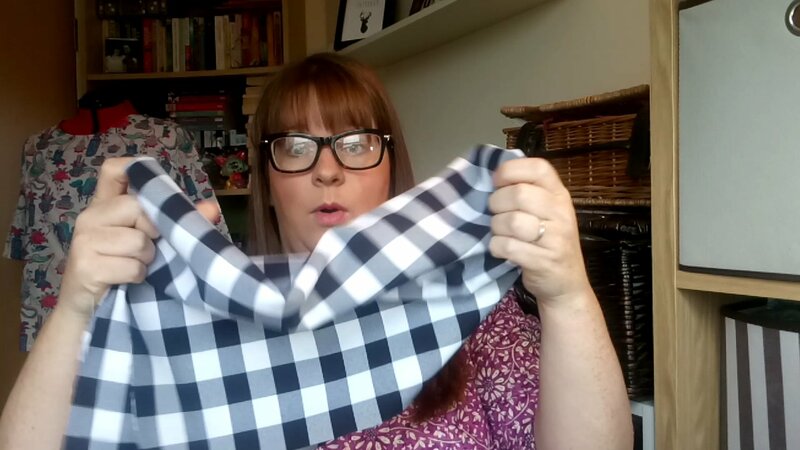 They’ll definitely be more to see using Sewisfaction fabrics on here! 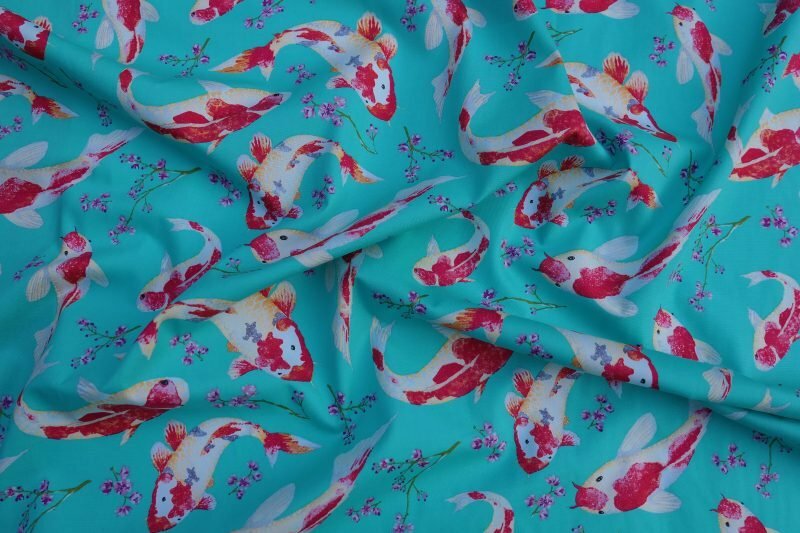 One person will win the pattern, 2 metres of the cotton poplin and I’ll also throw in a matching thread and zip. To enter, please follow me and comment below, additionally, see over on instagram or on YouTube where you can follow me and comment over there for an extra entry! The giveaway entries end Thursday 31st August 2017 at 5pm, British Time and it will be drawn and announced in my post on Friday 1st September 2017. I’m happy to ship internationally so this is open worldwide. The amazing Sheona is completely supporting this giveaway but Simplicity New Look are not sponsoring it. 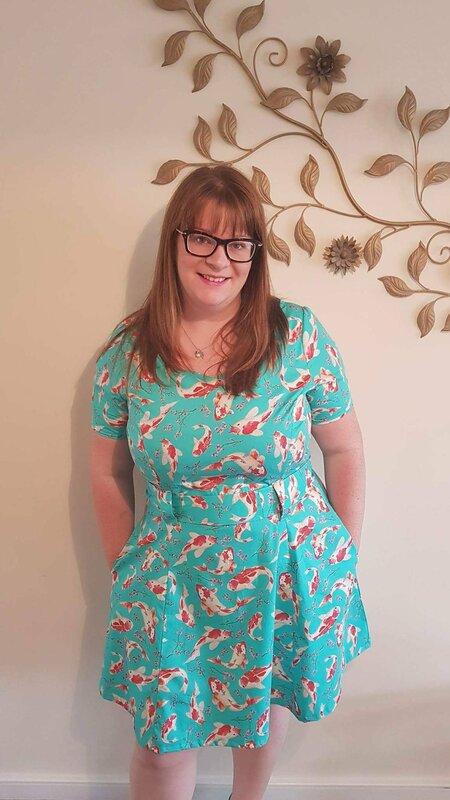 I am giving away a pattern I bought because I wanted to!